How to Backup and Restore HTC One M8/M9? Home > Resources > HTC > How to Backup and Restore HTC One M8/M9? How to Print out Text Messages from HTC? Your HTC phone data can be lost for whatever reasons, accidental deletion, factory resetting, system crash and more. There is nothing worse than losing important data on your HTC phone and realize that you haven't made any backup. So, do not think about backing up your HTC phone until you lose your valuable phone data. You need a safe and esay way to backup your HTC One M8/M9/Desire HD/Wildfire/Hero data as soon as possible, so that you can restore them back to your phone anytime you want. Coolmuster Android Assistant is your ideal HTC backup & restore tool, which supports backing up and restoring up 7+ types of data including contacts, text messages, photos, videos, music, apps, documents, etc. with one-click. You can backup them from your HTC One M8/M9/Desire HD/Wildfire/Hero to your computer safely without any data loss, and certainly, you can restore those backed up files from the computer to your HTC phone whenever you want. There are both Windows Version and Mac Version of the HTC Backup & Restore tool available for you to do the HTC data backup and restore. Please dowmload a suitable version according to your computer’s operation system. At first, download and install the Windows or Mac version on your computer. Then connect your HTC mobile phone to computer via a USB cord. After that, both Windows and Mac users can act as the similar steps to operate this HTC File Transfer software on computer. If you have the HTC Bakcup & Restore tool installed on your computer, simply run it, connect your HTC phone using the cable provided with your device. And you now can see the primary window of program. As soon as the program recognizes your HTC device, it will start to install USB driver on computer and then scan your phone deeply. Choose your wanted file types, including Apps, Music, Photo, Video, SMS, Book, Contacts, etc. and click "Export" button to back up them on your computer. 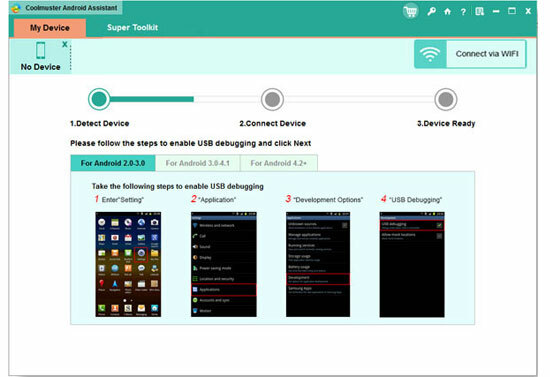 After backup completed, go to the homepage of the program and simply connect your new Android device, choose the file types you want to restore to your HTC phone and click "Restore" or "Import" button. Android Assistant is 100% safe. There is no need to worry about losing phone data any more. Just now, download the HTC backup and restore tool!